Bounty Manager - F9rnand0 all questions on Bounty, ask in Bounty Telegrams Eng, Rus. The total number of ”Wibcoin" (WBB) tokens that will be distributed among the bounty campaign participants will be 5% of the tokens sold. 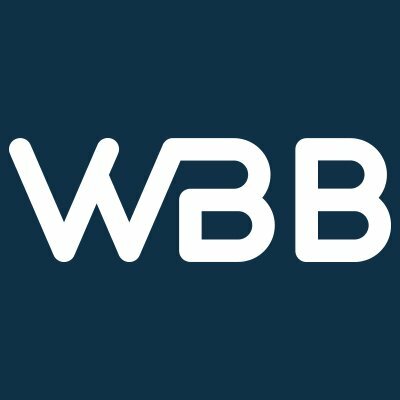 Hard Cap: 1 000 000 000 “Wibcoin” (WBB). 1 WBB = 0,008 ETH. 1. After the end of Pre-ICO (within 3 weeks). PRE-ICO starts on 27.04.2018 and ends on 27.06.2018 (62 days). ICO starts on 01.09.2018 and ends on 31.12.2018 (122 days). To participate in any campaign, be sure to join the Telegram group and the Telegram channel. This Bounty campaign can be attended by participants with a rank not lower than Junior Member. If you make a mistake when registering in Bounty campaign, write about it in Bounty Telegram ENG or Bounty Telegram RUS. Stakes will be credited to spreadsheets every week, on Thursday. We reserve the right to remove you from any campaign at any time if we believe You are dishonest, or spam on the forum. We reserve the right to remove you from any campaign without explaining why we removed you. In the event that we remove you from the campaign for any reason, we reserve the right to remove your stakes. We may not accept you in the campaign for any reasons. We have the right to make any changes to the rules of Bounty compaign. If you got BAN in any of my Bounty campaigns, you won't be able to participate in my subsequent Bounty companies. At least 10 post per week should be made. Post with less than 75 characters, excluding spaces, will not be counted. Posts made in the following sections (and all their child boards) will not be counted as valid posts: Marketplace; Off-topic; Archival; Marketplace (Altcoins); Newbie; Bounty. Participants with red trust score will not be accepted. If we remove you from the campaign for any reason, we reserve the right to remove your Stakes. If you don't make a minimum number of posts, you won't get any stakes for the current week. If you do not receive bets within 2 weeks, you will be disqualified. Each participant of the signature campaign should wear our avatar (from Full member). Week #1 05.04 - 11.04. The week is counted from Thursday to Wednesday by UTC. The report is not required. If your rank changes during a campaign, you must contact the campaign Manager. Your article should be of high quality. You must be followed by at least 500 users, or your site must be visited by more than 5000 users per month. Your article should be unique. This cannot be a copied and pasted article. Articles are accepted in two languages: English and Russian. The article must contain at least 500 words. The article should contain a link to our Website and ANN Thread. We reserve the right not to review your application and not to explain the reason for the refusal. Articles made in Telegram groups devoted to Bounty and ICO are allowed. For Telegram groups, you must have at least 2500 subscribers. For Telegram channels at least 500 views on your posts. If your site suits us, you can write an article. After my check, if your article fits all the conditions, the article will be added to the table of participants. You must have at least 2500 friends + followers. Your account and posts must be public. Takes into account only those reposts our posts that were published on the current Bounty week. Your Facebook account must be original. An inactive account or an account with fake friends are not accepted. Only one report is accepted per week. Make a report before 23: 59 UTC every Wednesday using the form below. 1 Stake for 1 repost. You must have at least 2500 real followers. Your account must be older than 1 month. Takes into account only those retweets our tweets that were published on the current Bounty week. A Twitter account needs to be original. An inactive account or an account with fake followers will not be accepted. Make a report before 23:59 UTC every Wednesday using the form below. 1 Stake for 1 retweet. You must make at least 3 high-quality comments per week in our subreddit. 10 stakes for the subscription. 5 stakes for claps on our articles.